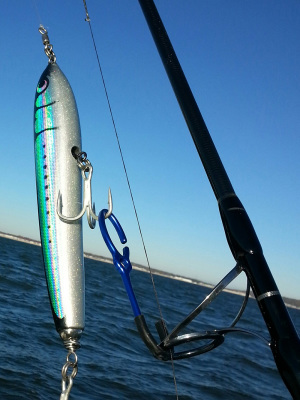 Transport your lures and hooks with A-Lure-Ring. It will prevent damage to your stripper guide and frame. 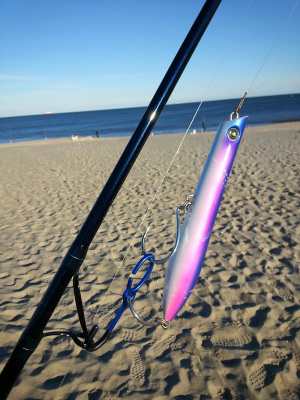 Use A-Lure-Ring when moving from spot to spot in the boat or on the beach. The rubber boot absorbs the shocks especially when running in a chop or climbing over rocks and jetties. 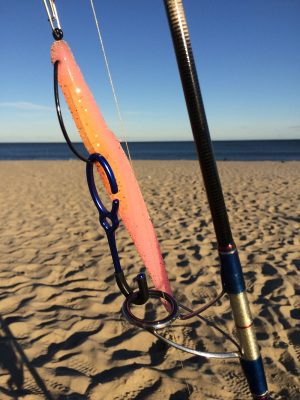 A-Lure-Ring is designed to work with the new style reverse stripper guides to prevent scratching the rod whippings and finish. A-Lure-Ring works great with weedless plastics. Just pass the exposed bend of the hook through the open gate in ring. 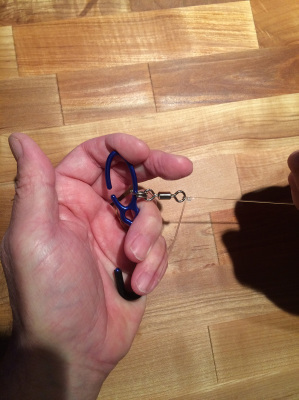 A-Lure-Ring is also a great knot puller and tightener. Use on lures, hooks and swivels, etc. Patented design machined from 6061 Aluminum, class 2 Hard Anodized and fitted with a durable soft rubber boot.